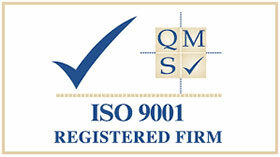 Resolve Optics Ltd. has developed a reputation for designing and supplying high performance specialist lens adapters. A lens adapter can offer an economic solution to achieve the desired field of view (FOV) or image format from a prime lens in a camera or sensor system. Unfortunately many generic lens adapters are designed to try to work on as many lenses as possible and consequently compromise image quality. Resolve Optics lens adapters are characterised by their ability to change the field of view or image format of the lenses they are designed for, while maintaining high resolution, distortion-free images. To provide a true 0.5x field of view whilst maintaining minimal distortion and high resolution throughout the zoom range of your camera Resolve Optics offers the Model 287 wide angle zoom lens adapter. The compromise free performance of this product was achieved by designing the adapter to work with the moving pupils of zoom lenses. Its unique design offers unprecedented full ‘zoom through’ capability resulting in high contrast images regardless of zoom position whilst still maintaining both resolution and focus to the very edges of the image. 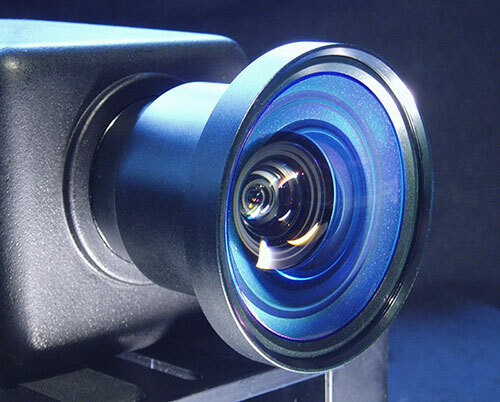 The Model 225 Anamorphic is an an example of a compact, high performance adapter developed by Resolve Optics that changes the image format provided to a CCD camera. 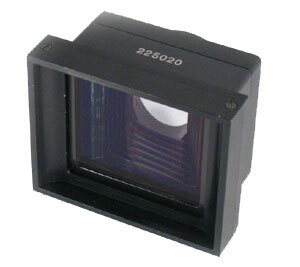 The Model 225 converts the image ratio so that when recorded by a 4:3 aspect CCD camera the image is captured as 16:9. For further information on specialist lens adapters please click here. To discuss development of a specialist lens adapter for your camera / sensor product please contact Resolve Optics Ltd. on +44-1494-777100 / sales@resolveoptics.com.